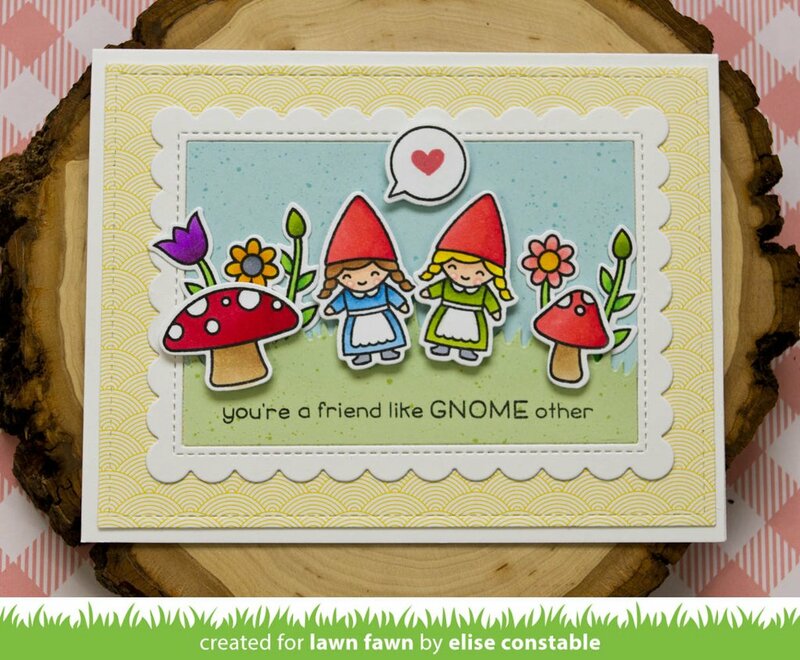 Lawn Fawn - Clear Stamps - Oh Gnome! 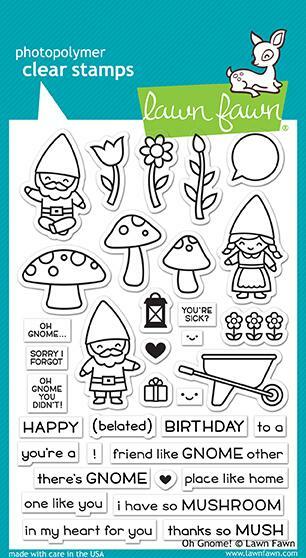 Home > **Newest Products - JUST IN** > Lawn Fawn - February 2019 release > Lawn Fawn - Clear Stamps - Oh Gnome! This cute stamp set is like gnome other! These gnomes and accessories are great for birthdays, belated birthdays, housewarmings, thank you, love, get well, and friendship cards! 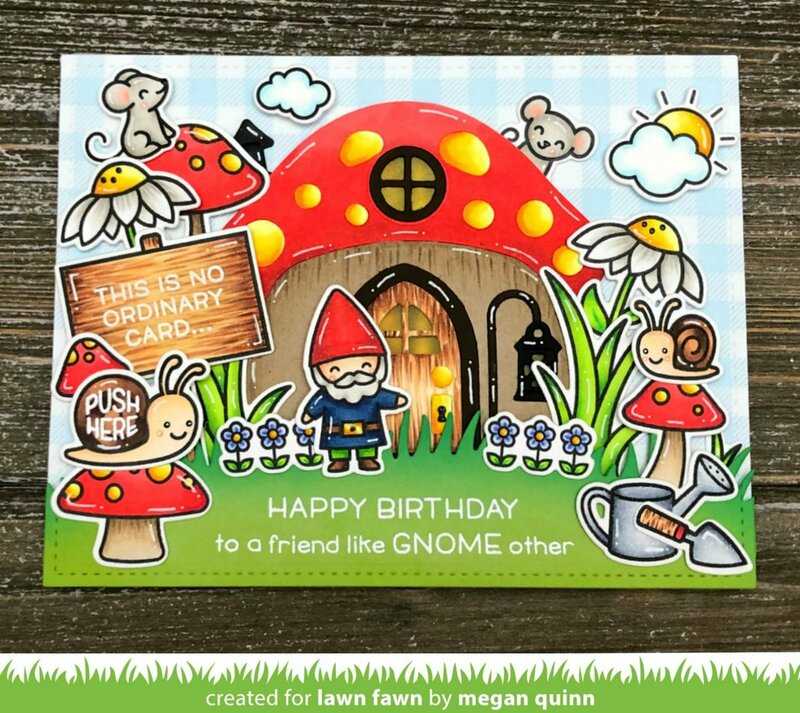 sitting gnome: 7/8" x 1 1/2"
open tulip: 1/2" x 1"
large shroom: 1 1/4" x 7/8"
wheelbarrow: 1 1/2" x 3/4"
Use the matching die to cut the images: LFN-DIE-1881.